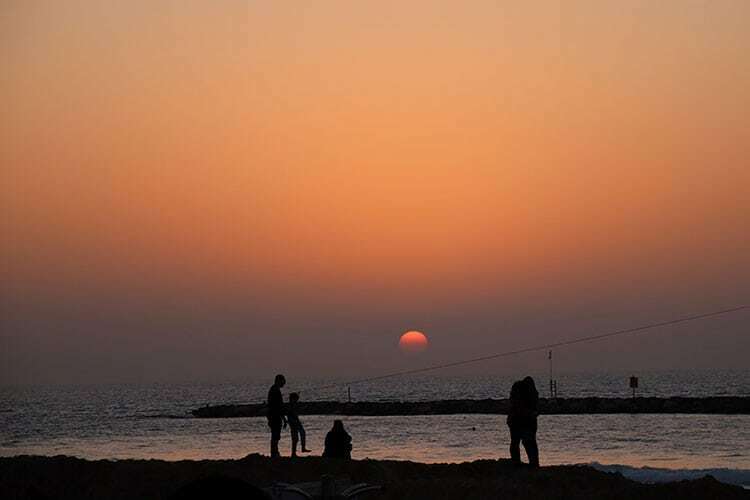 Having moved from the UK to live in Dubai, I was in awe of some of the special sunsets in the Middle East once I started exploring the region. 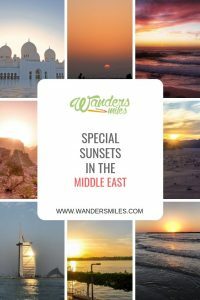 I still have more places to travel to in the Middle East so I asked some travel bloggers to show us their experiences of special sunsets within the Middle East. 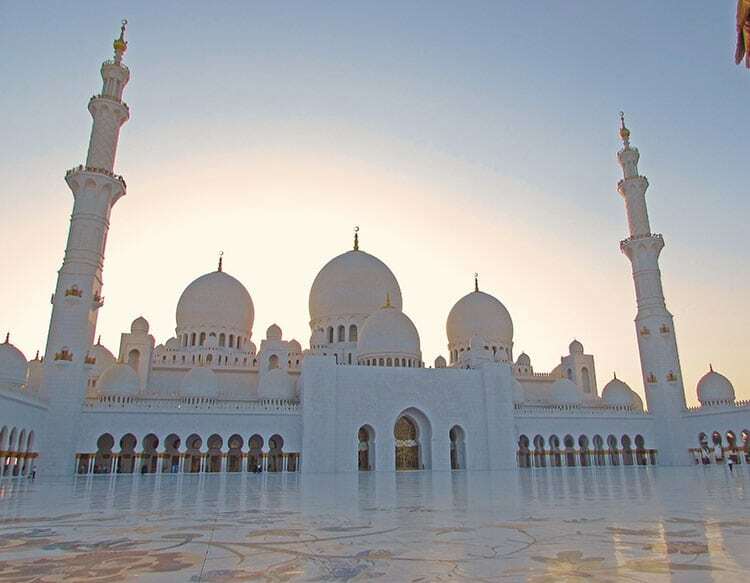 Visiting Sheikh Zayed Mosque, during sunset is the best time to admire the beauty of mosque more. After living 5 years in Dubai it is one of my best decisions to finally visit this marvelous architecture. 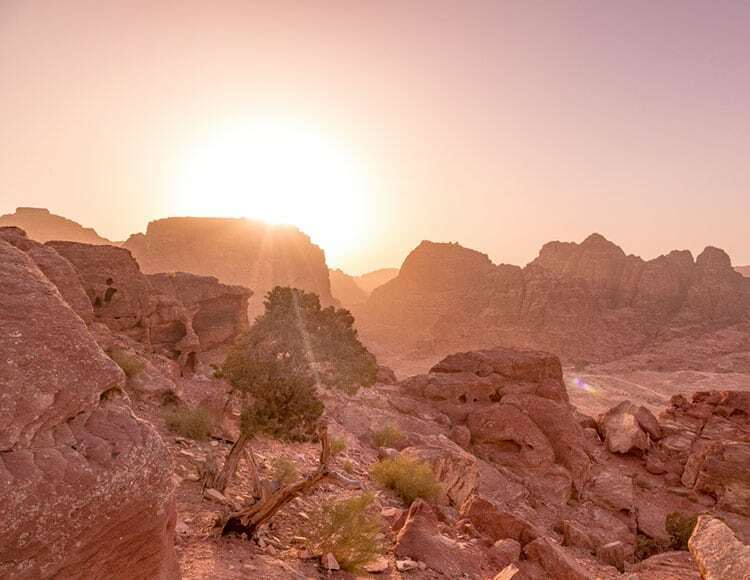 There are so many incredible places to watch the sun set in Jordan but our favourite has to be the High Place of Sacrifice in the ancient city of Petra. It’s a 30-minute steep walk to the site, but the view gets better and better with every step. Once you reach the top the view seems to extend for miles and the light bathes the whole of Petra in a pink hue. You’ll likely have the whole place to yourself at this time of day which makes the experience even more magical. How many other world wonders could boast that? 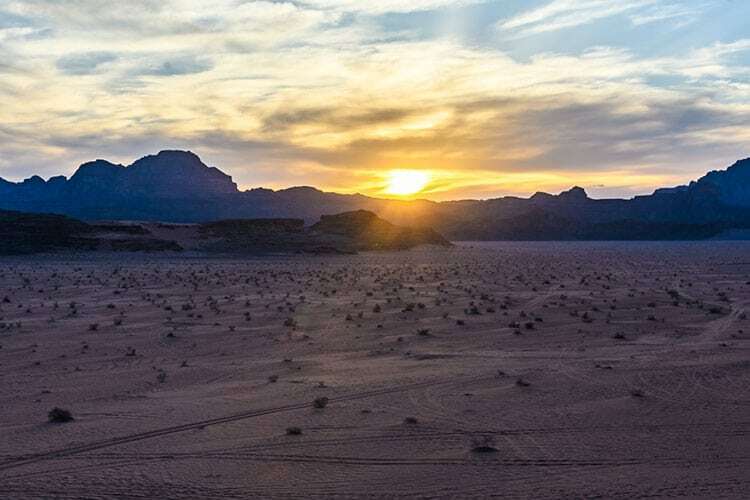 One of the most breath-taking sunsets we have ever experienced was in the Wadi Rum Desert in the South of Jordan. This desert is very special both because of its strong red color – especially intense around sunset – and the historical connotations. 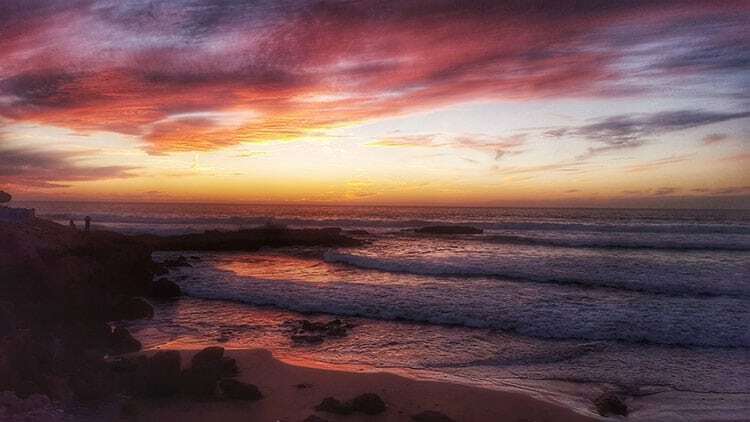 I was always fond of the stories of T. E. Lawrence during the Arab Revolt, and it was a magnificent to experience the same sunset as he did a century ago. The colors, the silence of the desert make it such a magical place at sunset. Located along the Nile River in Egypt you’ll find the city of Luxor. 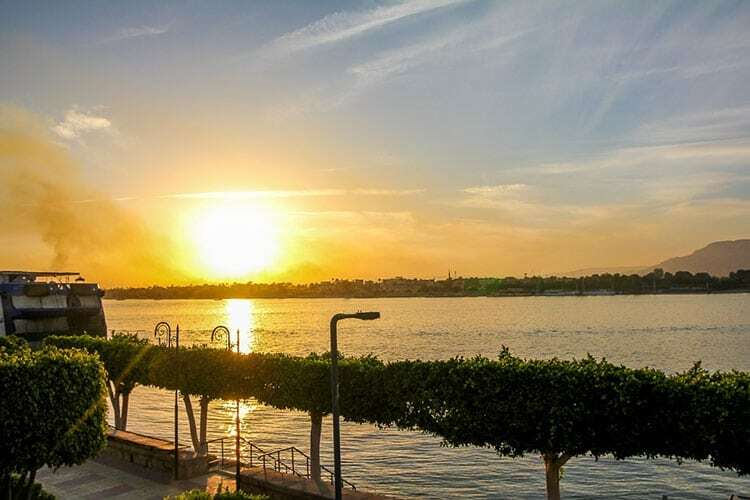 While the entire Nile area is special, there’s nothing quite like Luxor. Luxor is where a lot of the history of Egypt takes place. It’s where the pharaohs walked and where the Egyptian Gods ruled. When you’ve spent an entire day learning about Egyptian history and visiting the tombs and ruins there’s nothing quite like sitting by the Nile and witnessing a sunset only to realize that thousands of years ago the ancient Pharaohs were doing the exact same thing in the same spot. 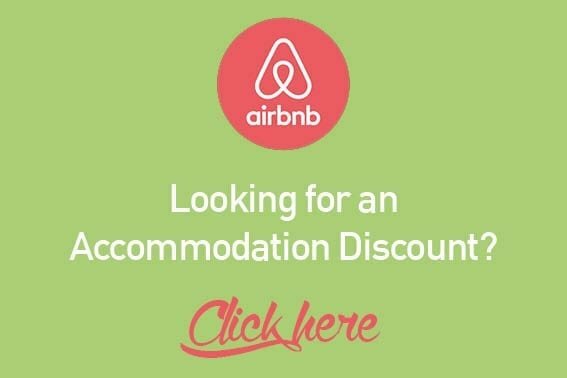 As expats we have the privilege of experiencing some pretty special things that we would never get the chance to do at home. A friend was celebrating a big birthday so we all flew into Dubai and sailed around Dubai marina for the late afternoon and evening in a yacht that she’d hired. 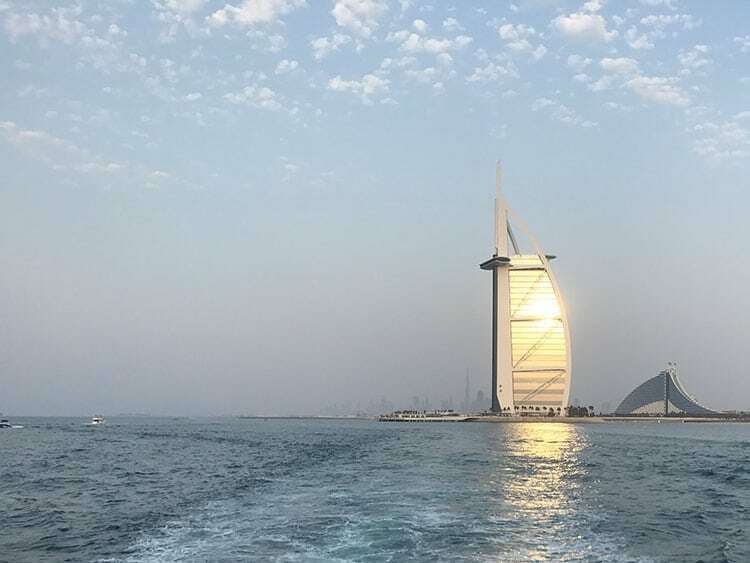 It was the first time I had seen the Burj Al Arab and it was completely unforgettable. 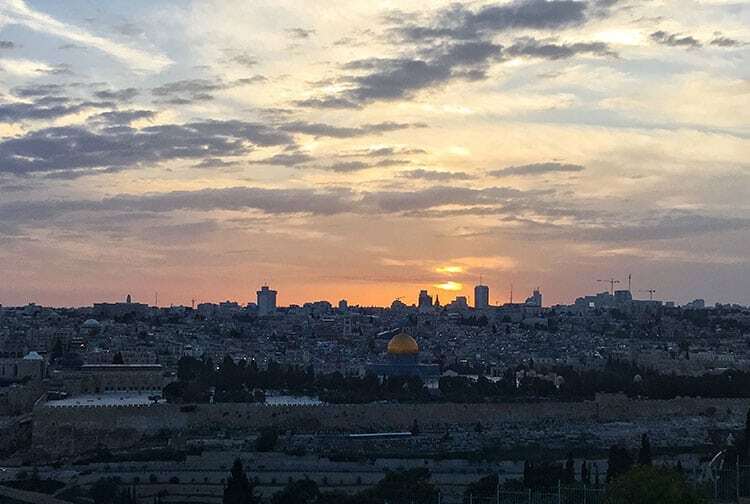 What made it all the more perfect was being able to share it with our friends – people we would never have met had we not come to live in the Middle East. Fallen Star Valley, on Qeshm island off the southern coast of Iran, is nature at its best in the Middle East designing the rocky landscape with the elements. Locals will tell you that the Fallen Star Valley came into being centuries ago when a falling star crashed into the earth and that the maze of ravines and towers are haunted by the voices of ghosts… actually te echoes are just the effect of wind tunnels. Standing on the plateau with the vast crevasses below glowing with warmth and the failing light from a gorgeous sunset is something I will never forget. 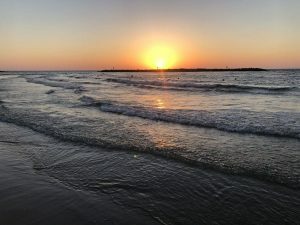 These sunset photos were each so special to me as they documented my first trip to the Middle East and Israel. What a beautiful country with so much to offer the traveller in terms of exploration, relaxation and the obvious religious significance. I am glad I can now say I have witnessed the birthplace of Jesus and seen the infamous wailing wall with my own eyes. Keep up with my adventures. Subscribe to get blog posts, travel tips & new photos right to your inbox! @2017 - Designed and Developed by WandersMiles.